Interviewer: What are the mistakes that people make during any point in the process that hurts their ability to get compensation and help their case? Richard Sailer: I think the initial mistake that people make is partly due to the strategies of the insurance companies. 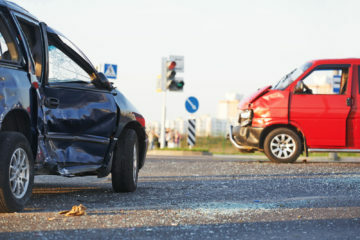 What I find is the insurance company, when they initially report the claim – if the client reports the claim with the insurance company – insurance company tends to lead them down a path of destruction, in terms of their injury claim. They’ll start off with things like, ‘Were you hospitalized after the accident?’ client will say no. They’ll say, ‘Did you have surgery after the accident’, no. ‘Did you break any bones?’ no. ‘So you didn’t need any sutures?’ no. ‘So basically you were okay right?’ And they lead the client down that road of catastrophic injuries, to getting them to agree that they won’t hurt, and then they’ll use that later on to say, ‘Well we interviewed you the day after the accident, you claimed you weren’t hurt’, and often times the type of muscular or skeletal injuriesthat people experience in auto accidents don’t develop till a day or two after the accident, and meanwhile the insurance company’s got to record a statement from them that they weren’t injured. But in the context of, ‘did you go to the hospital’ or ‘did you have surgery’ or ‘did you break a bone’, they answer ‘no’ to those questions, so then they ultimately agree that, ‘yeah I’m basically okay’ even though they may have an underlying injury. Interviewer: Who is going to be taking the statement, is it both the person’s insurance company and the other party’s insurance or is it just one or the other? Richard Sailer: Well usually both insurance companies typically will take a statement but it’s usually the defendant’s insurance company that is attempting to build their defense using those types of tactics. Interviewer: Defendant means the other party’s insurance company? Richard Sailer: Yes the person who caused the accident or the other party that you’re involved in the accident with. Interviewer: Are you obligated to give to give the other party’s insurance a statement? Richard Sailer: No you’re not under any obligation; they typically won’t do anything in terms of adjusting the claim unless you do make a statement. So it’s cart before the horse. But I usually recommend that people get some advice; they know what their rights are; and they understand what the purpose of the statement is. I always tell clients, they’re not taking the statement to help you with your case. They’re taking the statement to defend the case. Interviewer: What could you say to the insurance company, ‘I’d rather speak to a lawyer first’ or ‘I’m not going to give a statement’? Richard Sailer: Yes I usually either tell people that they’re under no obligation to call them back; just let it go to voicemail so that they just leave a message. I usually advise them that they get some legal advice before the talk to the insurance company and if they are alleging injury, that they get out and see a doctor and be evaluated for their injury before they give a statement. That way they can have the basis upon which to claim whether or not they are injured.